270 pages | 46 B/W Illus. The book covers the results of trial and error of regional economies in Japan, Korea, Austria, New Zealand, and the UK over the past two decades. Since the end of the cold war, regional economies have been struggling to meet the demands of global change, and are trying to find a new approach based on "inter-regional cooperation" to survive and develop further. 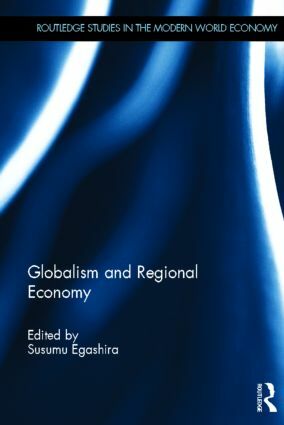 This book focuses on the circumstances of regional economies worldwide as well as three important issues of concern: commercial and policy issues, international trade, and promoting a regional approach in international tourism. The book presents case studies of five countries and examines the possibility of application to other regions. Although every region has suffered from the decline of traditional industries in the face of international competition, academic analysis of successful cases are particularly useful and relevant to the reforms of regional economies and their development. This book also discusses the current problems of FTAs, tourism, medical management, and regional management and suggests possible short-term development strategies. Regional economies have begun a number of initiatives in these fields in the globalized world. The book demonstrates the current results of such initiatives. The book also explores new patterns of collaboration between regions of different countries following their recent initiatives.